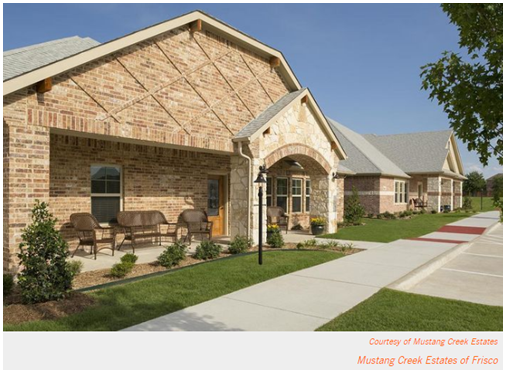 ​​ SACHSE – Dallas-based developer Mustang Creek Estates started construction on its new assisted-living and memory care community at 3900 Ranch Rd. in Sachse. The $7.5M project will have six home-style residences capable of housing up to 16 seniors each. The 42,000 sf project will create 50 jobs for about 90 residents. Each senior housing residence has an open concept kitchen that allows residents to watch their food being cooked. Walking paths and green spaces will be connected throughout the seven-acre property.